A great mix of rustic and modern. 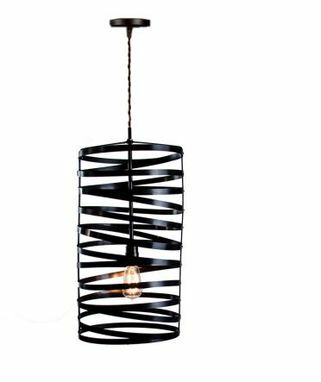 this spiral nest pendant light hangs works best for tall dramatic ceilings. It hangs down 22" and is about 18" wide in diameter. 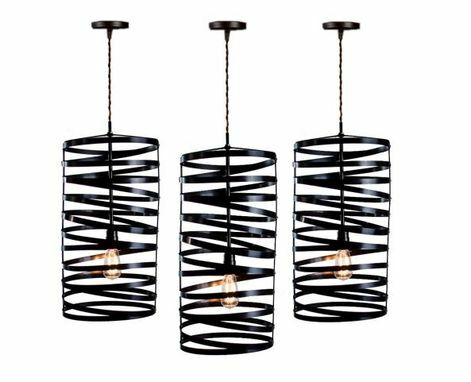 Made from bronzed steel this light has Edison style bulbs shining through the sizable spiral drums. 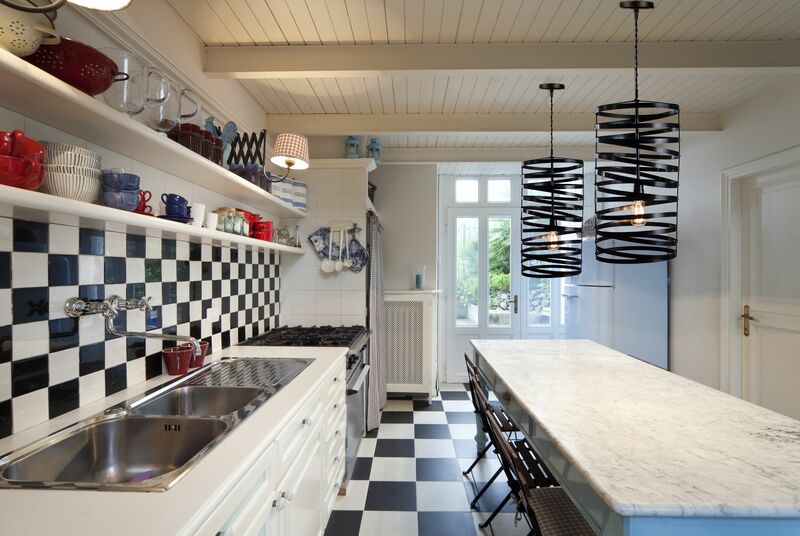 The light can be suspended from on a steel pole or it can be hang from a cable wire. It works well in a kitchen, or over a island and should be hung, as a pair or set of 3 in a role for the full effect. The price is for each single pendant light only!! All electrical components are UL listed. Line voltage. Each light is custom made and may very vary slightly but we do our best to deliver an item as close to the picture that you see. PLEASE NOTE: All our lamps made with UL listed parts or components and are made in compliance with U.S. standards. However the light itself has not been UL Tested as this is a custom piece. If you are purchasing a lamp for use outside of the U.S. or Canada, use only with the appropriate outlet adapter and voltage converter for your country. Do not plug into an electrical outlet higher than 110-120V as this could result in fire and/or injury. We are not responsible for this. We also do not supply lights bulbs other than those at the US voltage of 110-120v.